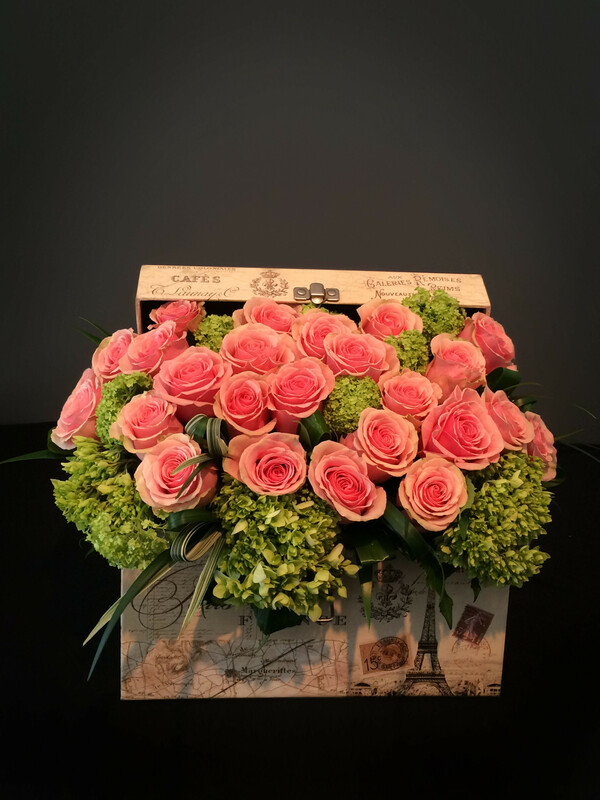 Our Parisian treasure chest is a whimsical gift. It is filled with Roses, greens and Hydrangea. Flowers and containers may vary due to seasonal availability.